You are here: Home / DraftSight / How to Insert Balloons in DraftSight ? Balloons linked to Toolbox Components will store information about them. 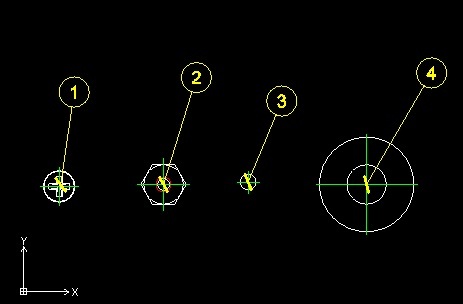 Where is Insert Balloon in DraftSight ? Run command TB_INSERTBALLOON from Command Window. 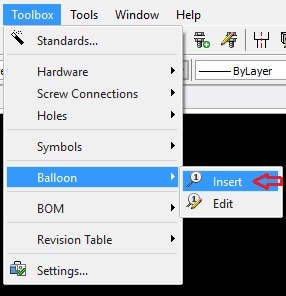 How to use Insert Balloon in DraftSight ? 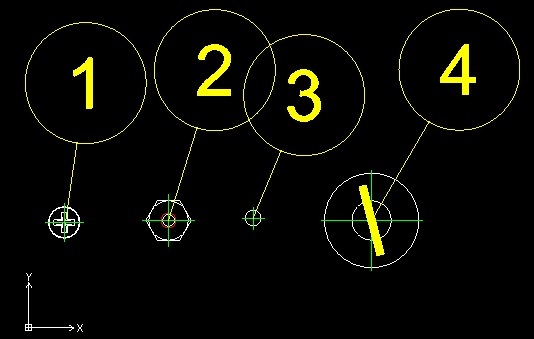 First we need to insert some Hardware Components in DraftSight Drawing . (See this article Insert & Edit Hardwares from ToolBox ). Here I have added all Default Hardware Types in Drawing . We will insert Balloons to these Hardware Components. Now You can Start Entering Details from Command line or Right Click to Open Following ‘Toolbox – Edit Balloon’ Dialog box to enter all details in one Go. 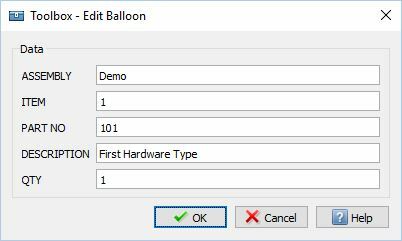 If you miss to fill any Data in above dialog box then Don’t worry you can fill it later by TB_EDITBALLOON command. Repeat above Steps for all other Remaining Hardware Types. hmm I have got following issue about Balloon Sizes. If you also face same issue then we will see how to fix this. You will get pop up message as below . Click Yes to accept the changes. You will see all Balloons Sizes are Reduced now. As I mentioned Earlier You can Edit Balloon Information with Command TB_EDITBALLOON. We will try to change Information when we will BOM Table.